Foxit Reader 9 is a lightweight, fast and feature-rich PDF viewer which allows you to open, view, and print any PDF file. Unlike other free PDF readers, Foxit Reader provides PDF creation and easy to use collaboration features like the ability to add annotations, fill out forms, and share information with friends and colleagues. Moreover, It features an easy to use interface based on the familiar Microsoft Office ribbon, which can be customized for your particular preferences. 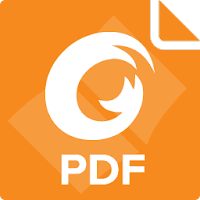 Foxit Reader is available with ConnectedPDF (cPDF), which is a breakthrough technology that brings new levels of accountability, collaboration, and productivity to the creation, sharing, and tracking of PDF documents worldwide. ConnectedPDF Security - grant and revoke document access. ConnectedPDF Document Management - Track to see who opens your document and what they do and notify readers of new updates. ConnectedPDF Collaboration - Elevate your teamwork with connected reviews or send requests to others to get a file. Foxit Reader is an award-winning PDF reader with over 450 million users that provides an excellent alternative to the Adobe Reader on any computer running the Windows operating system. Foxit Reader is also available in a shareware edition: Foxit PhantomPDF. Users can filter comments by author and status, and check the total number of comments in the Comment panel. Add inline comments to PDF documents at a specified location to share and discuss with other users online. The ConnectedPDF Review and ConnectedPDF Protection workflows have been redesigned to provide a better user experience in document review and protection. Disclaimer: Direct downloads for the lastest version of Foxit Reader 9.4.1.16828 are provided by the official software's author, we can't guarantee safety, availability or download speed. Moreover, we don't and we won't provide any pirated/illegal versions or tools. We recommend you to avoid it as these methods can harm your device. If you like the software, buy it to support the developers. (We provide software discounts for many worldwide brands).